These are lovely, and the DIY kit is such a great idea. Makes me want to learn to knit! Welcome to the joy of knitting! :) That yarn in the last photo is such a gorgeous color. You are doing so well! 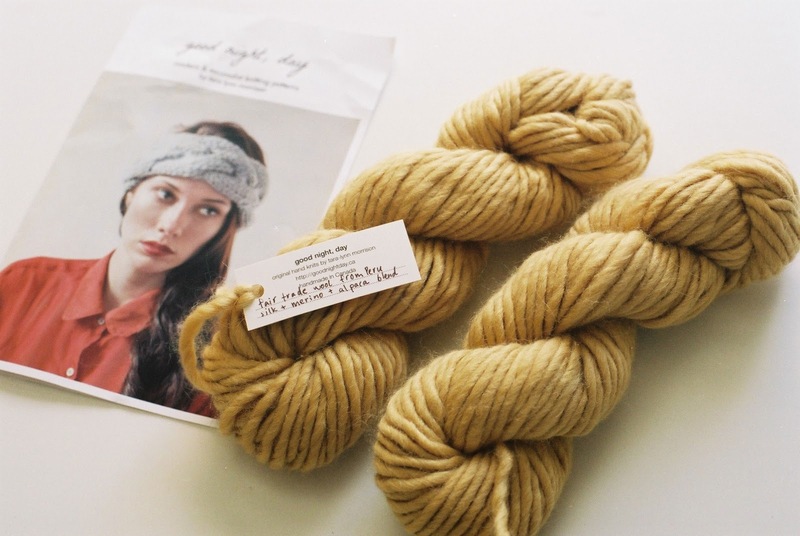 Also, that yarn looks like the softest yarn ever in history. I love thick, fluffy yarn like that, but I never know where to get it in good colors! Where did you find yours? I think I got the Blue Sky from a site called "Fabulous Yarns" or something like that. Just something that popped up on Google. i'm crazy for hats and i'm definitely going to try to knit one.. i think i'll wait for autumn, but thank you for the idea! I thought I would stop knitting now but Tara-Lynn made a good point, that knitting outside on a picnic blanket would be enjoyable! So I can't wait to try that. I have been meaning to learn to knit for ages but I just haven't taken the time to practice. I love love love Good Night, Day - so I think if I ever start, I'll likely also gravitate to those same patterns. Blue Sky bulky alpaca is such a wonderful yarn. Excellent choice! The yarn looks so lovely! I need to start knitting again. Yay! 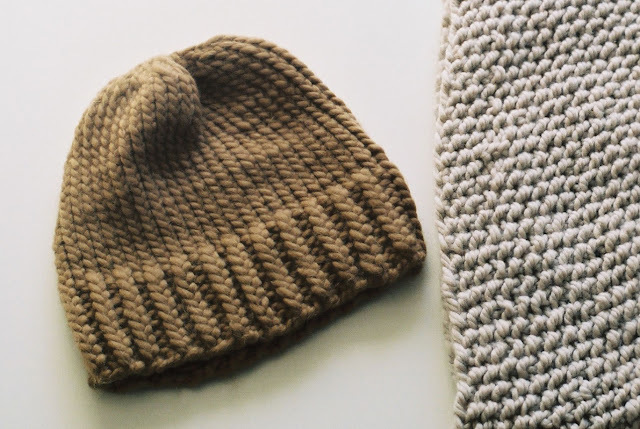 Lovely knits. Too bad we still need them late in the season, but thank goodness for beautiful Good Night, Day patterns and kits! I recently learned to crochet and I know that feeling of excitement you get the first time you finish a project :) Yours look lovely and so do those kits. I might have to learn to knit too just for the kits. Ooh, yay! I adore to knit but my experience goes no farther than scarves. I'm excited to try any new but simple pattern. Lalalalovely. I've been teaching myself to knit recently, too. I made my first ever baby bootie the other day on double pointed needles! Tara-Lynn's pieces are so lovely but I found them so intimidating to approach, mostly because she knits them so beautifully. 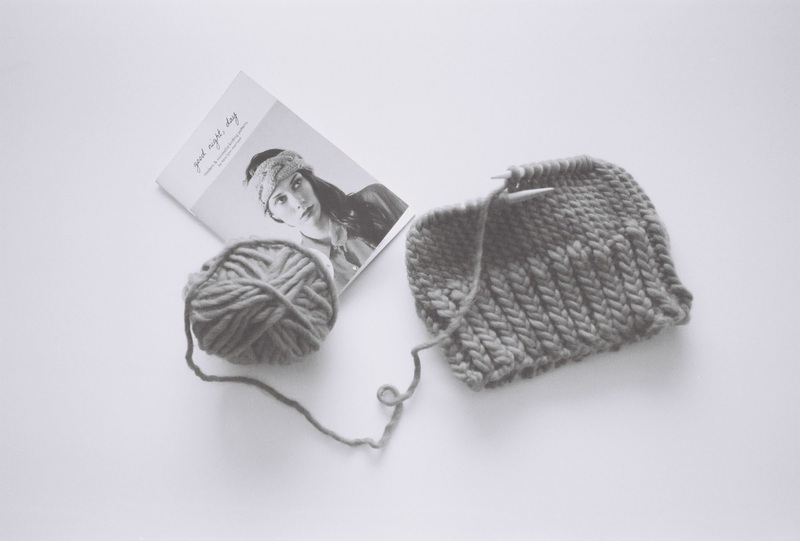 This post has definitely inspired me to pick up the pattern book & give it a go, though! Wow! Well if you can make a bootie you can definitely make a hat! 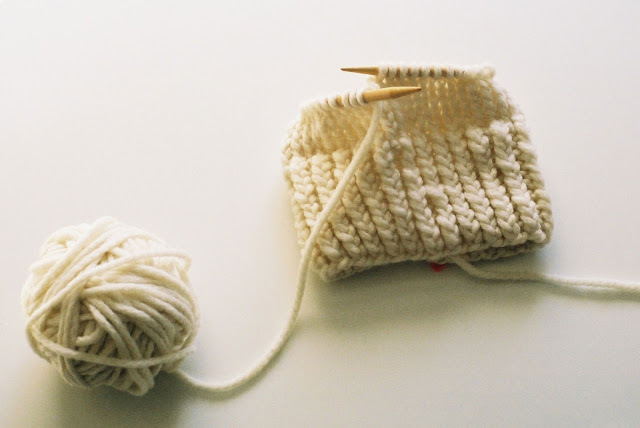 I've tried knitting on various occasions, but I always screw up and end up abandoning it... These look so lovely, though! gorgeous work. i love your wool choices. the good night, day patterns look fantastic. thanks so much for sharing your thoughts and what you have made with them. 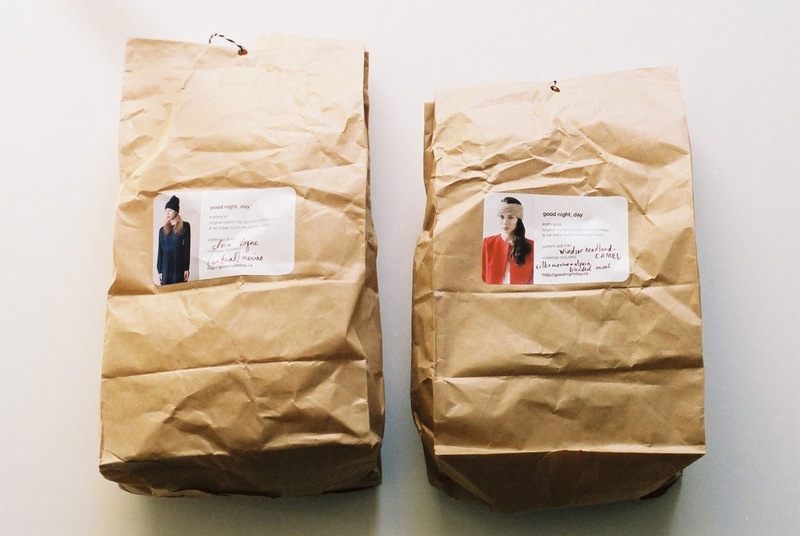 This makes me so excited to start my next knitting project! Congrats on learning/relearning how to knit! Everyone should try it! I love these colours you've chosen. Have just started considering thinking about perhaps maybe learning to knit. 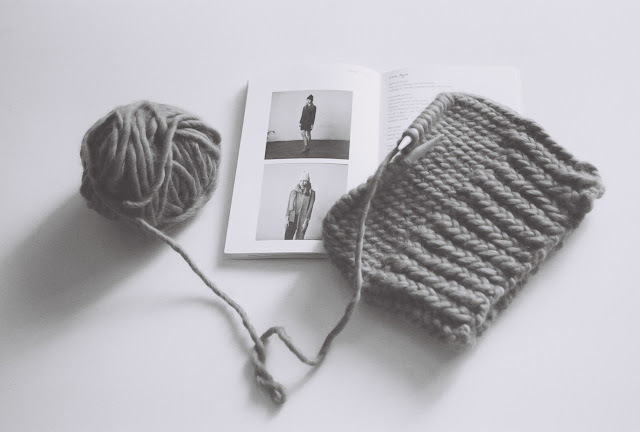 It's just coming into winter here and I love the idea of it, being all cosy and making cosy things and the feel of soft yarn and all that...happy knitting! Knitting, especially with the abundance of perfectly delicious yarns available now, is one of life's greatest pleasures. Welcome!